I’d like to ask you about the Mega Man X Legacy Collection (In Japan: ‘Mega Man X Anniversary Collection’). This year Mega Man X is approaching its 25th anniversary. How do you feel about that? Tsuchiya: The first time I saw Mega Man X, I thought, WWow, that’s a cool looking Mega Man.” The Super Nintendo game did not only have better graphics, but also added the dash and wall kick to the game. The thing that really struck me was that it was seeking to be a new, different game from the original Mega Man. Yes, it had an entirely different playstyle from Mega Man. Tsuchiya: At the time there were plenty of players who, while still loving the original, preferred Mega Man X, and I personally think that the game represents the golden age of the action game genre. Also, while maintaining the identity of the original game, X introduced a new Mega Man character to the world who is just as loved by fans, and I think that’s amazing. Was the collection planned for release this year from the beginning? 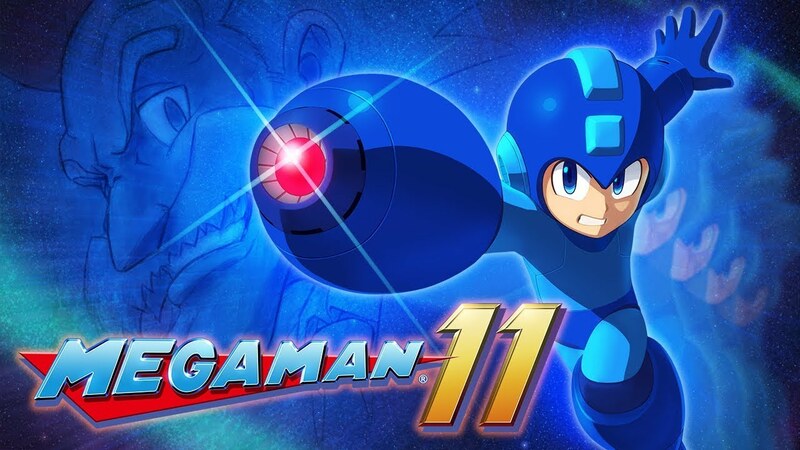 Tsuchiya: With the Mega Man series reaching its 30th anniversary and Mega Man 11 being released this year, we want to seriously reinvigorate the Mega Man brand as a whole. Mega Man X, as with the original, has fans all over the world, and is approaching its anniversary this year. In order to get people of this generation playing this loved title, a re-release is necessary. And if we let this chance slip away, there may not be another one until the 30th anniversary. With that in mind, we decided to release the collection this year, on the 25th anniversary. What’s been added that’s new? Tsuchiya: In Museum Mode you can view original illustrations and listen to the soundtrack. We’ve also included the animation ‘The Day of Σ’, which featured in the PlayStation Portable Mega Man, Mega Man Maverick Hunter X. Also, you can view the original Mega Man X toys in a new catalog, as well as watch video promotions from the original time of release. OK, I’m getting excited now. (Laughs) I’m especially interested in the catalog! Tsuchiya: Bandai worked with us at all stages, taking photos of all the toy samples they had stored away, creating a catalogue for us from all those images. I’m looking forward to the nostalgia. Tsuchiya: Remembering those times while playing the game was something the staff had in mind while they were creating the collection. I think the appeal of this collection is the memories brought on not only by the games themselves, but also by the by the models and promotions of the time. I’m eager to see it. Aside from the Museum Mode, is there anything else new? Tsuchiya: The 2D Mega Man X games 1 through 6 come with three different picture filters: a smooth remaster, a CRT filter and also the original quality filter. Also, the 3D Mega Man X games 7 and 8 have improved resolution and graphics. Why did you improve the graphics and resolution on 7 and 8? Tsuchiya: Stretching a 2D game that was drawn pixel by pixel onto a large television still looks kind of cool, but stretching a standard definition 3D game to fit those dimensions makes the image blurry. When you look at it, it hurts your eyes. So, even though it took time and money, I thought we had to improve it. Maybe from a development side that was a pain, but I think the fans will be happy. Tsuchiya: The development staff told me that the original modelling had been done so well that they could easily improve the way the game looks without it feeling odd for the player. They told me, “We can show this off with pride”. I can’t help but get my expectations up. Like in the Legacy Collection, will there be a Challenge Mode (in Japan ‘Time Attack’)? Tsuchiya: This time around we’ve taken that mode and changed the name to ‘X Challenge Mode’. Here you can take on bosses from the entire series, who can work as a team to fight you. Because you have to face two bosses at the same time, the player needs to have exceptional reflexes and response times. Speaking of which, is there an easy difficult setting? Tsuchiya: Yes. In the easy mode you only take half the normal damage and also have a support ability to revive exactly where you died. I’m looking forward to the release date. Do you have a message for the fans of the Mega Man X series? Tsuchiya: The truth is that Mega Man X 1-6 were released previously overseas as ‘Mega Man X Collection’, but the collection was never sold in Japan, which I think let down fans. But now, with the coming of the 25th anniversary, we’re able to bring all of these games together, also incorporating many extras. Hopefully all of this will alleviate some of the disappointment for the fans. I think there’s definite value to be had in seeing the evolution of the Mega Man X series. We’d like those players that love the series to experience this for themselves. 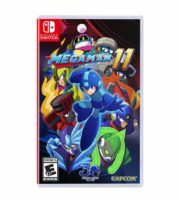 Will Mega Man 11 also be receiving an overseas edition? Tsuchiya: The game will release in Japan and abroad simultaneously. During the anniversary screening in December last year, there was a live feed of people’s reactions. When the news of Mega Man 11 came onto the screen, people were so happy that they cried. This really moved me, and I was determined to try even harder. Speaking of overseas, the US original ‘realistic’ Mega Man box art has, despite its intention, become comically infamous in Japan. Tsuchiya: Not only Mega Man, but also the characters on the boxes of Street Fighter and Resident Evil were changed into people I didn’t recognize at all. I think it’s just a difference in cultural demand. In America it’s said that consumers prefer to see the face of the hero, whereas in Japan the composition and pose of the character has the most cultural relevance. Aside from those, it’s said that in Europe they don’t need the character at all, and would prefer a scene that represents the game world. So that’s the reason we ended up with this ‘realistic’ Mega Man? Tsuchiya: That’s one aspect I think, but personally speaking I think the actual box might have had something to do with it. In Japan the game boxes were wide and horizontal, whereas in America that were tall and vertical. Because of that, they couldn’t use the original image and instead probably changed it to one that better suited that layout. Through that process and some artistic flair, the realistic Mega Man was born. Well, it was a bit of a miss hit. But the reasons for the design are still shrouded in mystery even now. (Laughs) Finally, is there anything you would like to say about the development of the Mega Man series in general? Oda: I’d like to thank the fans who have stuck with us all this time. It may be prideful of me to say, but I think the whole development team have come together and created something truly fun. Once Mega Man 11 has been released we want to monitor how the game is received and use that knowledge to truly consider how to foster the Mega Man series in the future. Tsuchiya: When I first joined Capcom I was involved with Mega Man 5, not as a developer but as a trainee play tester. When I was then in the development team for Mega Man 7, I felt somehow connected to the series by fate. To now be working on the revival of the Mega Man series is a great honor. As this game has the task of reinvigorating an entire series, we have to put everything into it, or it cannot succeed. The development team are not just making another game, but filling it with their own enthusiasm for the Mega Man series. Because of that I want the fans to rest easy, and also reassure those who have not tried the series before that they will find something to enjoy here. Look forward to it!